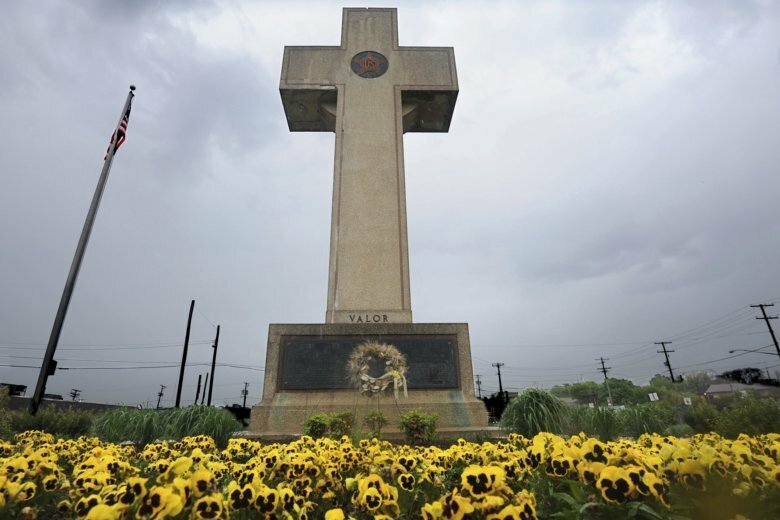 WASHINGTON — The U.S. Supreme Court is giving extra time to each side during oral arguments in the case of The American Legion vs. the American Humanist Association, which will ultimately decide the fate of the Bladensburg Peace Cross. Arguments are scheduled to be heard on Feb. 27. Normally each case gets 60 minutes for oral arguments in front of the court, with each side getting 30 minutes to make its case and take questions from the nine justices. This time, oral arguments have been extended to 70 minutes, giving each side 35 minutes to plead their merits. The cross was erected over 90 years ago at a prominent intersection in Bladensburg, Maryland, as a memorial for Prince George’s County residents who died in World War I. In 2017, the fourth circuit ruled in favor of the American Humanist Association, saying the location of the cross was an unconstitutional support of Christianity over other religions. The American Legion argues the Latin cross used for the memorial is in keeping with what was used as grave markers overseas at the time and not to express any religious preference. “The fact that we’re talking about potentially trying to take this down, I can tell you as long as I’m governor it’s never going to happen,” Hogan said. A long list of bipartisan lawmakers from Maryland, including many who live in Prince George’s County, as well as members of Congress are backing the American Legion. A number of other towns from around the country have also filed briefs in support of keeping the cross, since the outcome of this case could impact other memorials nationwide that currently stand.